TV Links - World TV Overseas TV - Wanna brush up on your Hungarian? Check out BeelineTV, which streams about 100 networks from countries ranging from China to Slovenia and beyond. You'll find plenty more a wwiTV, which also includes numerous U.S. local channels broadcasting online. It's about time you woke up to see whats going on in YOUR world. !!! Bad Company were an English hard rock supergroup founded in 1973, consisting of band members from Free (Paul Rodgers, Simon Kirke), Mott The Hoople (Mick Ralphs) and King Crimson (Boz Burrell). Managed by Peter Grant, who had also guided Led Zeppelin to massive success, the band would go on to enjoy great success throughout the 1970s. The 1974 debut album Bad Company was an international hit, with the group considered one of the 1970s¡¯ first supergroups. Bad Company consisted of four seasoned musicians: two former members of Free, singer Paul Rodgers and drummer Simon Kirke; former Mott The Hoople guitarist Mick Ralphs; and King Crimson¡¯s bassist Boz Burrell. The group was managed by Peter Grant who also managed Led Zeppelin at the time and would manage Bad Company until 1982. The album peaked at #1 on Billboard¡¯s Pop Albums chart (North America) and included two singles that reached the top 20 charts, ¡°Can¡¯t Get Enough¡± at #9 in 1974 and ¡°Movin¡¯ On¡± at #14 in early 1975. In 1975, Straight Shooter gave the group another #1 on Billboard¡¯s Pop Albums chart. The album also spawned two hit singles, ¡°Good Lovin¡¯ Gone Bad¡± at #30 and the slower ¡°Feel Like Makin¡¯ Love¡± at #10. With Paul Kossoff in better health again in 1975, he was delighted that now ex-Free colleagues, Paul Rodgers and Simon Kirke asked him to join them on stage for two nights in late 1975 with them playing ¡°All Right Now¡± the super hit from Free¡¯s third album. A British tour was set to begin on 25 April 1976 with Back Street Crawler Paul Kossoff¡¯s band headlining with Bad Company in support of the new album Run With the Pack and Back Street Crawler¡¯s second album, but again as with his later years in Free, Paul Kossoff drug addictions contributed to a drastic decline in the guitarist¡¯s health and on a flight from Los Angeles to New York on March 19th, 1976, Paul Kossoff died from drug-related heart problems at the age of 25. Run With the Pack was Bad Company¡¯s first Platinum certified album. The third consecutive million-selling record, reaching #5 on the Billboard chart and featured the hit ¡°Young Blood¡± that peaked at #29 on the Pop charts. In the 1970¡¯s Bad Company never released an official live album, even though they recorded some of the concerts, and are famous for their live shows packing largest stadiums for almost a decade. Bootlegs were the only way to find live songs from the shows, sound quality was for the most part poor. The most famous are, Boblingen Live: (1974), Live in Japan: (1975), Shooting Star Live at the L.A. Forum: (1975). Not until the release of Live in Albuquerque 1976 in 2006 thirty years after it was recorded did the band release an official live album of 1970¡¯s recordings. The recordings were made by Mick Ralphs, who regularly taped the group¡¯s shows, utilizing them as a tool to finely tune their set and performances. Not only is the sound quality excellent but almost all the hit songs from the band¡¯s first three albums appear on the live CD. 1977¡¯s Burnin¡¯ Sky fared the poorest of the first four albums and peaked at a disappointing #12, and was the worst selling Bad Company album to date. The album did have one hit the albums title song Burnin¡¯ Sky that reached #18 on the Pop charts. 1979¡¯s Desolation Angels fared better than its predecessor and gave the band their first Top 5 Platinum selling album since 1976¡¯s album Run With the Pack. Desolation Angels embellished the group¡¯s sound with synthesizers and strings. the album reaching #3 on the Billboard charts and again had two hit singles ¡°Rock ¡®n¡¯ Roll Fantasy¡± at #12 and, ¡°Gone Gone Gone¡± at #44. A three-year hiatus from the studio ended with the release of Rough Diamonds in 1982. This would be the sixth and final LP in the group¡¯s original incarnation until four new songs were recorded in 1998. The album was the worst selling Bad Company album of those that had Paul Rodgers as the front man. The album peaked at #29; it yielded one hit, ¡°Electricland¡±, that reached #10 on the newly created Mainstream Rock Charts. By the end of the 1970s the band were increasingly disenchanted with playing large stadiums. In addition, Peter Grant lost interest in the group, and in management generally, after Led Zeppelin drummer John Bonham died in 1980. In the words of Simon Kirke, ¡°Peter was definitely the glue which held us all together and in his absence we came apart¡±. 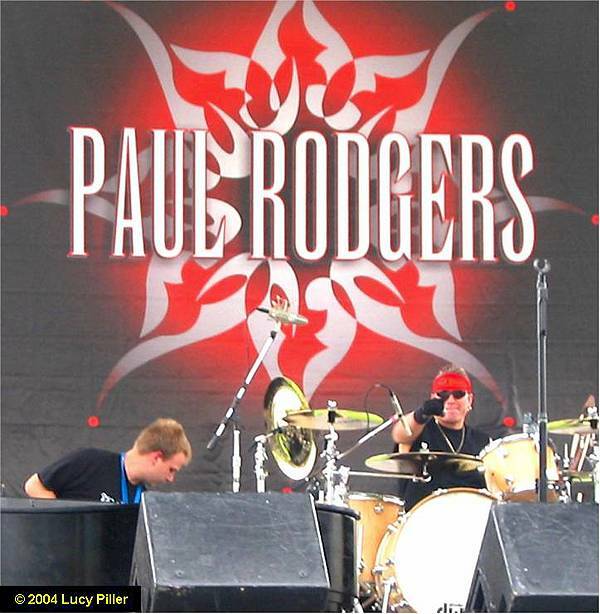 (Reportedly, Paul Rodgers¡ªwho has a black belt in martial arts¡ªwas involved in a rather one-sided physical altercation with Boz Burrell and Mick Ralphs.) After the release of Rough Diamonds they disbanded. Mick Ralphs said, ¡°Paul wanted a break and truthfully we all needed to stop. Bad Company had become bigger than us all and to continue would have destroyed someone or something. From a business standpoint, it was the wrong thing to do, but Paul¡¯s instinct was absolutely right¡±. In 1986, Ralphs and Kirke decided to re-form Bad Company, but Rodgers was engaged with a new supergroup called The Firm. So the remaining three members hired ex-Ted Nugent vocalist Brian Howe as the new lead singer, Steve Price as the new Bass player and Greg Dechert on keyboards. . Howe¡¯s vocal style brought more of a pop-rock sound to the band, as opposed to Rodgers¡¯ more bluesy sound. The band hired Foreigner producer Keith Olsen to produce the new lineup¡¯s initial album, 1986¡¯s Fame and Fortune. The band also switched labels to Atco Records. Reflecting the musical style of the mid-80s, the album was laden with keyboards, unlike previous Bad Company albums, and was only modestly commercially successful. Burrell rejoined the band for the Fame and Fortune tour supporting Deep Purple, but left midway through the tour and was replaced by Steve Price for the next 5 years. Greg Dechert left the band in 1987. Steve Price left the band in 1992 and was replaced by Felix Krish in the studio and Paul Cullen live.. The band¡¯s next album, 1990¡¯s Holy Water, also produced by Thomas, was enormously successful both critically and commercially, attaining platinum status by selling more than one million copies. The album sparked the hits ¡°If You Needed Somebody¡± and the title track ¡°Holy Water.¡± The album received significant radio airplay and spawned several video hits. Mick Ralphs sat out for most of the Holy Water tour, although he did perform on the album. The final studio album of the Howe era, 1992¡¯s Here Comes Trouble featured the hits ¡°How About That¡± and the title track ¡°Here Comes Trouble.¡± Before touring in support of Here Comes Trouble, the band officially expanded to a quintet, adding ex-Foreigner bassist Rick Wills and rhythm guitarist Dave ¡°Bucket¡± Colwell, a prot¨¦g¨¦ of Ralphs. The band recorded a live album, What You Hear Is What You Get: The Best of Bad Company on the Here Comes Trouble tour. The album featured live versions of hits from both the Rodgers and Howe eras of the band. Howe released a solo album, Tangled in Blue which was a commercial flop and continues to tour. His relationship with his ex-bandmates, namely Kirke and Ralphs, has remained acrimonious; they claim he promotes his shows as Bad Company shows by using the promo line ¡°BAD COMPANY former lead singer Brian Howe¡±. After Howe¡¯s departure, the remaining foursome hired ex-Distance vocalist Robert Hart to take over lead vocal duties. Hart¡¯s bluesy vocal style reminded many of Rodgers. The new lineup released Company of Strangers in 1995 and Stories Told & Untold in 1996. The latter album contains re-recordings of seven of Bad Company¡¯s biggest hits (¡±told¡± stories), and seven previously-unreleased songs (¡±untold¡± stories). During his absence from Bad Company, Rodgers was involved in many projects. Cut Loose a solo LP would be released in 1983, and A Tribute album to Muddy Waters in 1992. He would also partake in two band-projects: The Firm, with Jimmy Page of Led Zeppelin fame and, The Law with Ex-The Who drummer Kenny Jones. 1998, Paul Rodgers and Simon Kirke were discussing that the band should release an extensive compilation album with a bio and pictures for the fans. Rodgers at this point decided to give the fans four new songs, he finally reunited with the other three original members in the studio to record four new tracks. The reunion of all four original members Rodgers, Kirke, Burrell and Ralphs was short, but it produced Bad Company¡¯s first number one hit in 20 years with ¡°Hey Hey¡±. The second new song ¡°Hammer of Love¡± peaked at #2 and the surprise hit of the re-released song ¡°Deal With The Preacher¡± that first appeared on the album Straight Shooter in 1975. The new tracks appeared on the 1999 compilation album called The Original Bad Company Anthology. Bad Company toured with Paul Rodgers for only 30-date in the U.S. that drew sellout crowds in support of the Anthology release. Paul Rodgers, ¡°The Voice¡± (as the media called him since his days in Free), again rejoined his life long friend Simon Kirke in 2001, for Bad Company¡¯s Merchants of Cool tour that kicked off in the U.S and then over to the U.K.. The sellout tour produced the first DVD/CD also called ¡°Merchants of Cool¡± that features the song ¡°Joe Fabulous¡± that hit #1 on Classic Rock Radio and top 20 on Mainstream Rock Radio in the U.S. all in its debut week in 2002. The Merchants of Cool tour was with Simon Kirke and Paul Rodgers being the only original members left by this time as Boz Burrell and Mick Ralphs (who has always had a fear of flying) were retired from touring. Dave Colwell previously second guitarist in the post-Paul Rodgers era of Bad Company, took lead guitar, Rick Wills was on bass. Guest performers at the shows included former Guns N¡¯ Roses axeman Slash and Neal Schon of Journey fame. In 2005, a DVD called ¡°Inside Bad Company 1974-1982¡å was released that reviews Bad Company on stage, on film and on record. It also interviews Simon Kirke and has some live recordings from the 70¡¯s and 80¡¯s. Paul Rodgers, 56 years old in 2006 while looking as fit as a 26-year-old, was still touring and playing Bad Company songs with Queen. It was stated, including on Brian May¡¯s own website, ¡°that Rodgers would be featured with Queen as: Queen + Paul Rodgers, not replacing the late Freddie Mercury¡±, The CD and DVD of their collaboration was released in 2005 called Return of the Champions with songs by Queen, Bad Company and Free. On April 28, 2006, they released a live DVD from their collaboration called Super Live in Japan. There are many bootlegs from nearly every show of the 2005 and 2006 tours in audio, as well as a few in video form. In 2006, a limited edition CD of 24K gold was released of the first Bad Company album (Bad Company). After taking over a year to find the original master tapes, the analog masters were put through a proprietary analog-to-digital converter that remastered the songs for the best possible sound. Boz Burrell died of a heart attack on September 21, 2006, at his home in Spain. "Paul Rodgers for Rock and Roll Hall of Fame"